50% non-refundable deposit due at signing. 50% non refundable deposit due at signing. Wonderful flat grassy area for lounging and lawn games. Tenting available to rent for seating up to 400 guests. Atmosphere/Decor: Flat grassy area near Pavilion. Seating for up to 200 guests. Atmosphere/Decor: Views: From our Hilltop, Take in 270° views of Sonoma Valley, Including our Estate Vineyards and 97 Acres of Natural Wetlands, which serve as home to variety of indigenous water fowl. 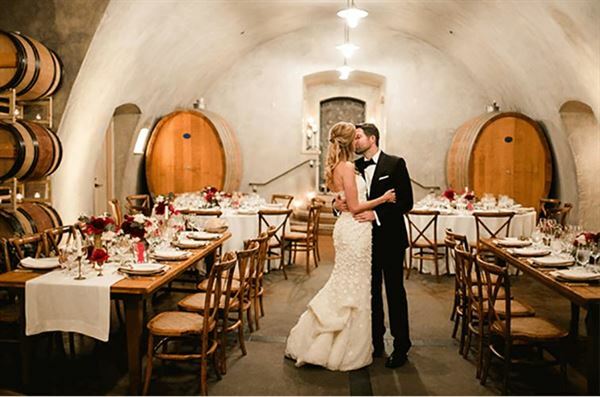 Wine Caves Perfect for your cocktail reception or a seated dinner up to 100. Whether you're a wine connoisseur, a pizza eater, or a nature lover, Viansa is one of those places you don't want to miss when going to Sonoma. Having a party there is an enormous pleasure - thanks to the beautiful scenery, fresh air, great staff, and, of course, their exquisite wine. Highly recommended! But don't just take my word for it - go and see for yourself. They have all kinds of events going on almost every week, from wine tasting to pizza making to BBQ. Oh, and their shop is amazing. Make sure to try their gelato - it's heavenly!